sunshine blue sky and 20c and what am I doing ? 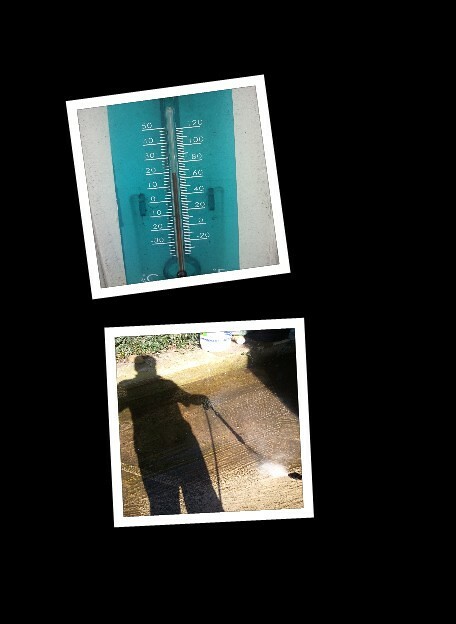 pressure washing the back yard ! Says the guy who has been consumed with house-related work the last 9 months! Sounds great. I'd like a few nice bike trips to look forward to right now. Yeah, I know all about MOT and tax disks for odd reasons. MOT from watching British TV, particularly "Wheeler Dealers". Tax disks due to a trip to the IOM on a rental where they did not put the latest disk (which they had purchased) on the bike before I left. They were doing an over-the-top police check outside of the ferry lot, and I almost missed the TT! Thank goodness a helpful Brit with a mobile phone (Bill at Biketours UK) was with me and got it sorted (with an 80 pound fine to the bike dealer). Oooops we don't have the discs any more all done on line these days , we are moving with the times would you believe ?? Must have been a shock to all the disc holder accessory makers!